#savetheday party 19:50UTC in Munich and #kubuntu-devel from a project which has always taken inspiration from the Timelord. We're meeting in Munich at the offices of LiMux who have just completed their transition to convert the whole of public administration in Munich to Kubuntu, over 15,000 computers. It's little advertised but KDE has an office in Barcelona. With Scotland getting cold, dark and wet I set off in search of sun and colleagues to have a change of scene and improve my health after a surgeon poked needles into my eye. 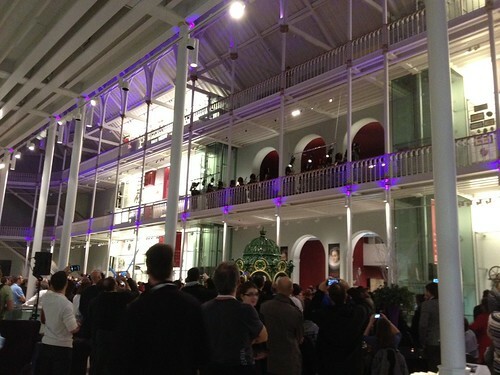 Linuxcon ended in spectacular style with a party at the National Museum of Scotland, shown here with the interesting addition of a full marching band. Dolly the sheep was supposed to be on display but ran off at the sound of the bagpipes. I gave a lightning talk at Linuxcon about KDE and Kubuntu highlighting some of the mega rollouts with Kubuntu such as the one which is about to take over Taipai. 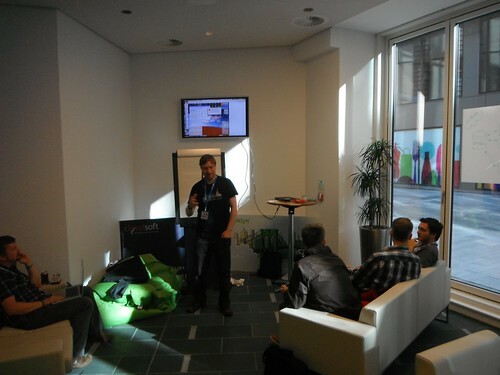 Linus is visiting Edinburgh today for a Q&A session at LinuxCon. Asked where he'd like to see Linux in 5 years time he said he started Linux because he wanted to use it on his desktop but he's been disappointed how that hasn't taken off. He wishes desktop communities would stop arguing amongst competing technologies and would work together. How true. (And I continue to feel smug about being part of a community which hasn't started a new project to replace any desktop or desktop technology). 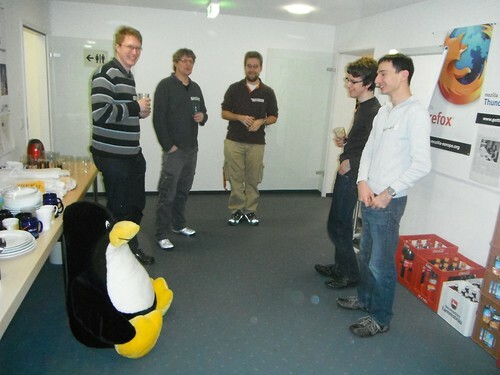 Linux has come to my home with Linuxcon in Edinburgh. Me and Kenny C are manning the KDE stall showing off KDE software running Krita on a desktop (bling), Plasma Active on a Nexus (swish, very popular), KDE Software on Windows (ooh I didn't know you did that) and giving away lots of lanyards. If you're here do come over and say hi. Packaged full of lovely goodness is the upgrade to 13.10, grab it now..
Can I just say you guys are awesome? I've used KDE with various distributions for years (and with Kubuntu for the last ~2) but never reported a bug until now. I am amazed at how quickly it was acknowledged and came to some form of resolution. Wish we could do them all that smoothly! The Krita Lime PPA provides daily builds of the best free software painting application out there. For aspiring artists Krita is a fabulous app to create works of inspiration. Krita is optimised for painting but I also use it for many image manipulation tasks, it's installed by default in Kubuntu. See dmitryK's blog for instructions to install it.